Ring of Honor makes its long-awaited return to Lowell, MA on Thursday November 8 at the Lowel Memorial Auditorium with the second night of Global Wars! All four nights of the Global Wars Tour will air LIVE for HonorClub. The ROH Board of Directors is working fast and furious to sign marquee matches for the tour and the next match signed for Lowell is singles clash! 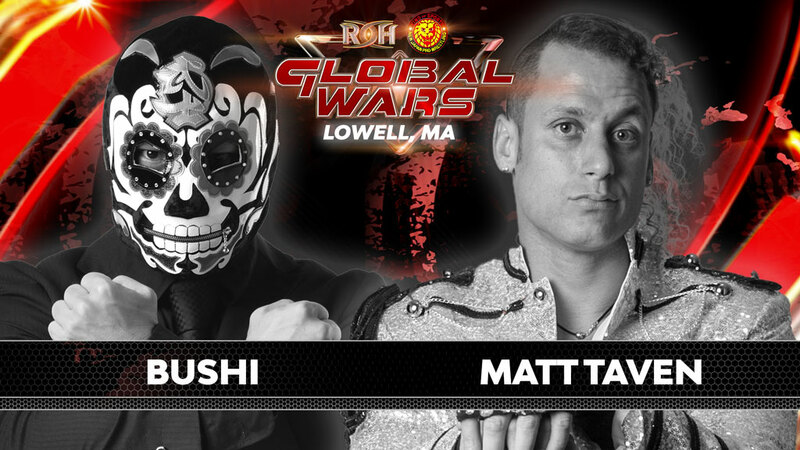 The man that calls himself “The Real ROH World Champion” brings his purple-leathered ROH World Championship belt to his home arena, the Lowell Memorial Auditorium, to take on former IWGP Jr. Heavyweight Champion BUSHI in a first-time match-up! Taven is bound to get a king’s reception in Lowell in front of his hometown crowd. 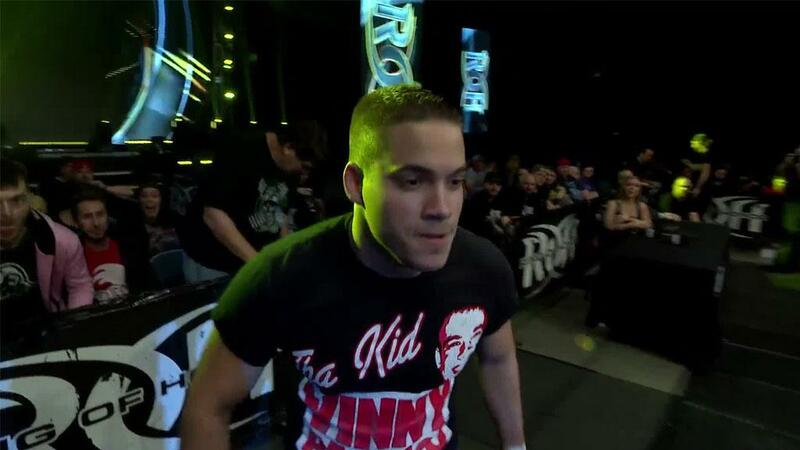 The last time Taven competed in Lowell, he and the Kingdom captured the ROH World Six-Man Tag Team Titles. This time, he returns as what he believes as the World Champion. 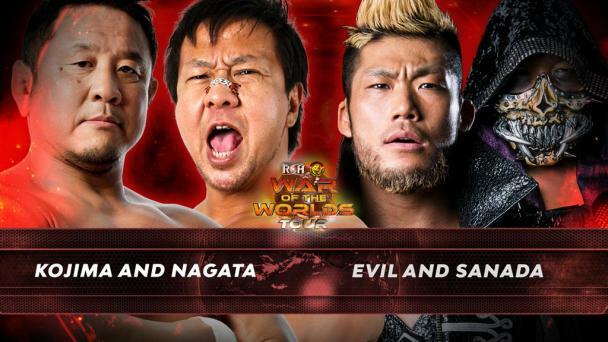 For BUSHI, the New Japan star will be put to the test against Taven. But BUSHI’s background is similar to Taven’s in that he has competed all over the world, including Mexico and the United States and a win would put BUSHI immediately into title contention. Who will win this first-time singles clash? Buy your ticket and join us LIVE or watch LIVE as all four nights are being broadcast LIVE for HonorClub!